This book is dedicated with love to my wife, Vicki, also my teachers, Steve Michaud and Marc Crawford. ACKNOWLEDGMENTS: Poems from this book have appeared in Big Hammer and the anthology Cost of Freedom, also online at Outlaw Poetry and Short Story-UK. I’d also like to thank Dave Roskos, John Richey, Matt Borkowski, Mike Romoth, Chuck Svoboda, Lenny Chernila, Barbara Test, Julie Cummings and Neil Kelly for encouraging me with my work and being the people they are. I’d also like to thank the old Court Tavern in New Brunswick, New Jersey and Ziggie’s Saloon and the Mercury Cafe in Denver, Colorado for being the type of places they are. is a collection of poetry written in a simple, direct style. Here at last are poems that that don’t hide their meaning in word-play or metaphor. They are told in a straight, down to earth fashion. Sharp, clear images guide the eye on a tour of a unique poetic world. The material has a broad scope, dealing with a wide range of subjects. Some paint lovable portraits of local streets, alleys, dives and dumps. 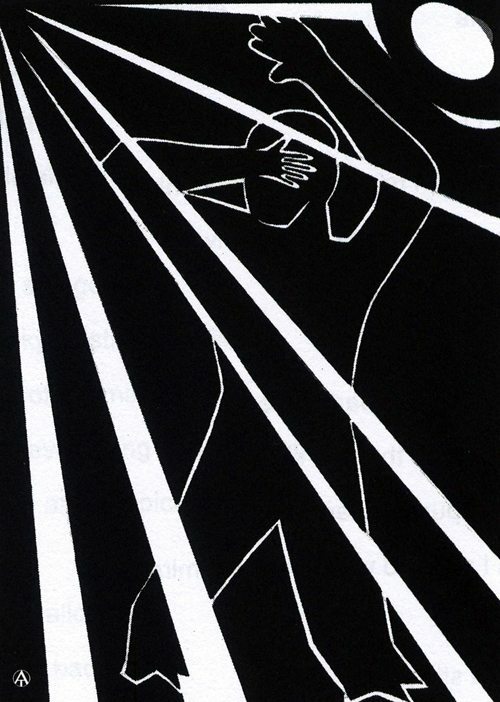 Others veer into the political realm, examining greed, waste, and environmental damage. The poet also draws on his extensive job experience to give vivid descriptions at weird workplaces on off-hour shifts. Other poems are inspirational tributes to nature and our connection with it. The book charms with its wide range, rich imagery, and straightforward language. 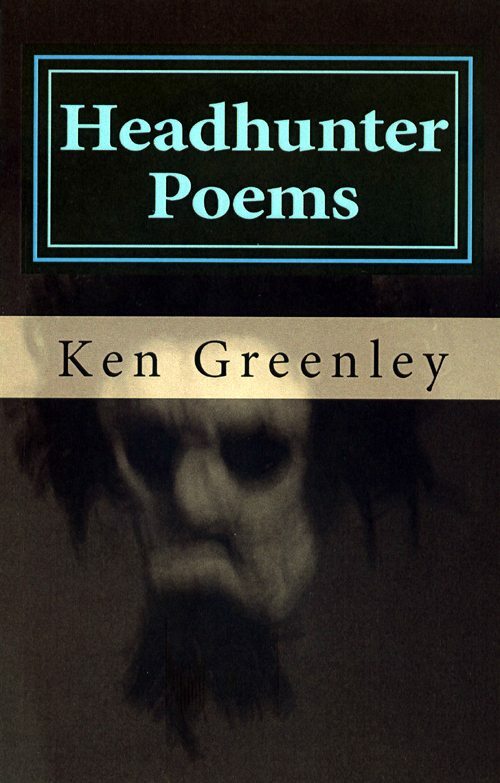 From the humorous to the poignant, from the political to the natural, Headhunter Poems takes the reader on a manic mental ride. 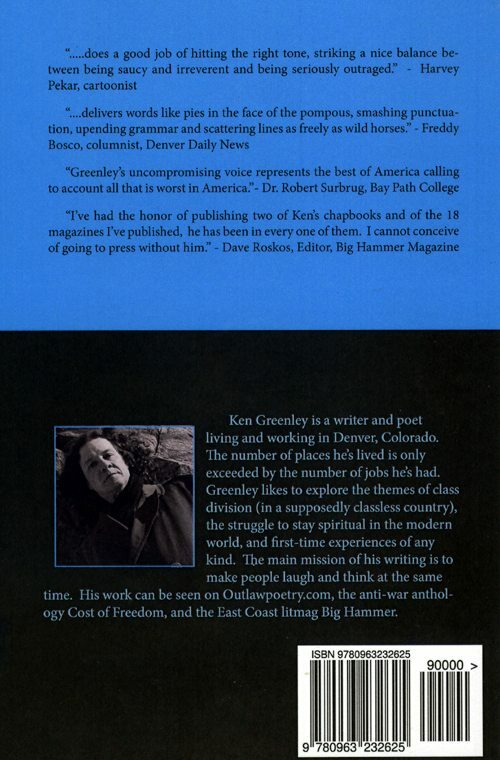 This entry was posted in Ken Greenley and tagged Headhunter Poems, Ken Greenley, Poetry by Monsieur K.. Bookmark the permalink.